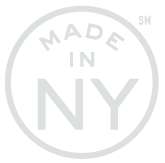 The ability to provide ADA compliant online services has saved Prosser from lawsuits and fines. Local governments can be fined up to $75,000 for a first ADA violation and $150,000 for any subsequent violation. Previously, the Building Permit Application was an inaccessible paper-based application that could not be filled out online. Disabled users had no effective way of accessing the application, as the PDF was not screen reader-friendly. Furthermore, the application was often submitted with incorrect or missing fields and attachments, increasing the total processing time. The overall inaccessibility of the form and the frequent inaccuracy of submissions drove Prosser to seek out an alternative solution. Through SeamlessGov, the City of Prosser found software that could generate an ADA, 508, and WCAG 2.1 compliant process, ensuring that a wide range of users would have equitable access to the application. 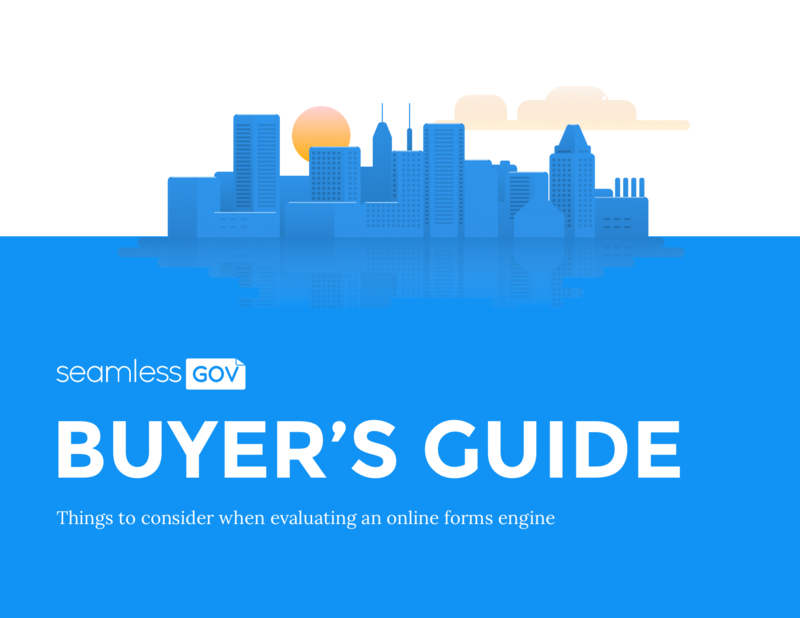 Thanks to the built-in text size adjustment feature in SeamlessGov web forms, Prosser's constituents can easily adjust the size and layout of content in the online form. Furthermore, anyone accessing the form with their assistive technologies has access to the content, as all SeamlessGov fields come tagged with alt text. 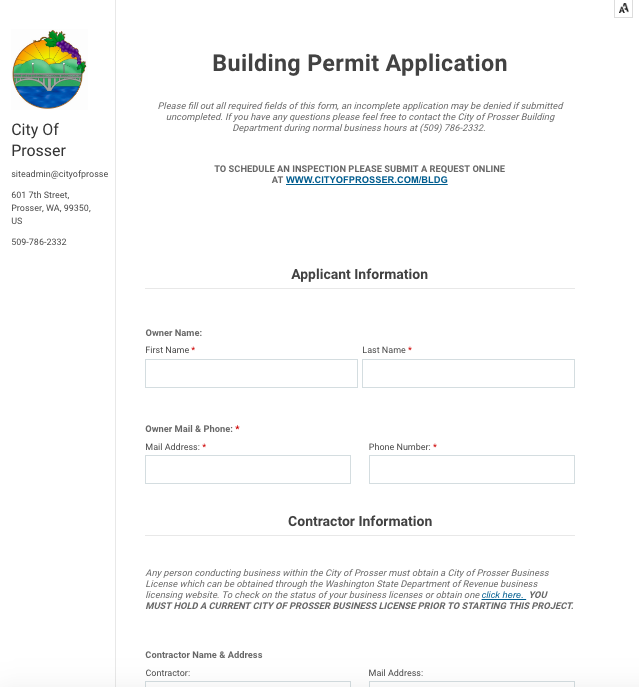 Thanks to the new accessible form, dozens of Prosser's constituents have been able to apply for a Building Permit seamlessly with required fields and field validation, attachments, and eSignatures.